There's no denying that the NES Classic Edition is a super-cool system, but it isn't for everyone. Some users wanted more than a pre-set package of NES games, and though the device was never billed as a modern-day take on the NES, there's no real reason why it couldn't fill that role. It just didn't. Let's be blunt: giving NES Classic controllers a two-and-a-half foot cable was daft. The original NES controllers had cables over seven-and-a-half feet long, and that was back in a time when people sat a lot closer to their televisions than we do now. There's no good reason to give the SNES Mini controllers anything less than six or so feet of cable, and that's if there's to be any cable at all. For better or worse, wireless controllers are the norm these days. Players just aren't used to being tethered through cables, be it on their gamepad or even their mouse or keyboard. It'll surely increase production costs, but giving the SNES Mini wireless controllers would make the system so much user-friendly. Plus, Nintendo-made Bluetooth SNES controllers would be extremely desirable just by themselves, and there's little doubt that players would be keen on using them with the Nintendo Switch, assuming the device ever sees its own Virtual Console. NES Classic players can save their games, but short of packing up the entire system, there's no way to transport those saves over to a friend's house. Granted, saving games was relatively rare back in the Famicom's heyday, but the games that supported saves allowed players to transport those saves around, because the save data was stored on the game cartridges themselves as opposed to a non-removable chip on the system's motherboard. It might seem like enough, but for many people, being limited to 30 games feels extremely restrictive. 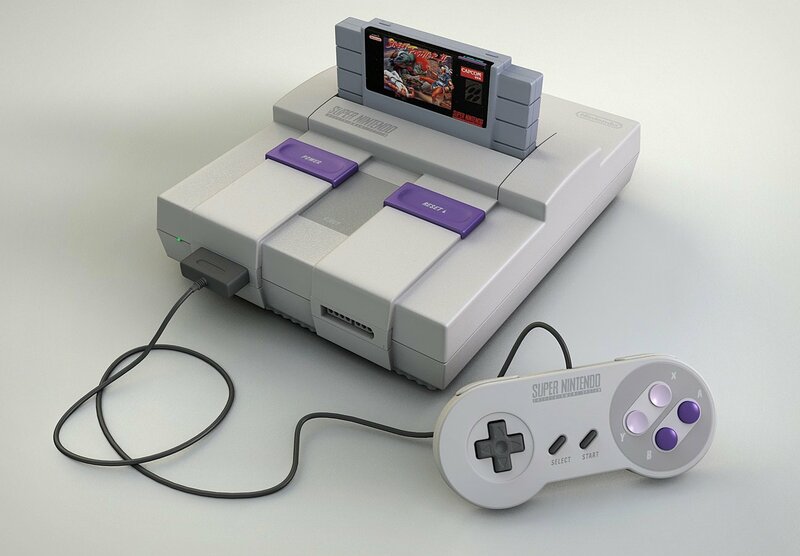 The Super Nintendo Entertainment System had dozens of hits that most people would consider to be must-have games on an SNES Mini, and after packing in obligatory titles like A Link to the Past and Donkey Kong Country, there's precious little space for those hidden gems peppered throughout the SNES library. With a strict 30-game limitation, an argument could be made in favor of Nintendo omitting their best-selling titles from the SNES Mini. There are loads of fantastic games for the system that aren't among the most-referenced blockbusters of the time, and taking a few obvious choices off the list — games like Super Mario World, which fans have likely re-purchased countless times through the years — would clear up space for some of those rare-yet-desirable titles. That said, releasing an SNES Mini without Super Mario World would be preposterous. The better solution is to include more than 30 games by default, which would in turn increase the chances that someone's long-lost childhood favorite title might make the list of included games. If Nintendo were to give the SNES Mini its own dedicated eShop, the system wouldn't be considered a cutesy throwback gaming console like the NES Classic — it would be hailed as the second coming, a glorious modern-day revival of the Super Famicom. A dedicated eShop would completely negate any complaints players might have had about a restricted library, and it would give Nintendo yet another avenue to sell the Virtual Console titles they've been diligently releasing through the years. It would also draw much more interest to the SNES Mini, because players who didn't like or didn't care for the default lineup could still download their favorite titles from the eShop. It's a win/win, really. Seeing as how Super NES Virtual Console titles generally sell for 8 bucks, Nintendo would stand to double their profit from any SNES Mini owner who buys eight additional games. And it would be direct profit, too, completely avoiding all the foolishness that goes along with buying games on a second-hand market. Speaking of which, there's one more thing Nintendo really needs to consider with a potential SNES Mni release. This one really ought to be obvious. Nintendo seem to have a bad habit lately of not producing enough units to satisfy consumer demand. People love Nintendo, both their machines as well as their games, and most Nintendo fans would be willing to show their support through expenditure of their hard-earned dollars. Shelling out an extra 120 dollars to purchase a mini console from an eBay scalper who happened to buy out his local retailer doesn't support Nintendo, it supports malice. Seriously, Nintendo, just make more of them. They'll sell, trust me. Players with a taste for modern Nintendo games will find plenty of titles to love on our list of the Best Nintendo Switch Games.